Let’s get real about eggs. Since 2005, all eggs in our dairy case have been cage-free, and we only use cage-free eggs in our own kitchens and bakehouses. Now we’re doing even more! We worked with farmers and animal welfare experts for many years to develop standards for the health and wellbeing of laying hens. All of our 365 Everyday Value® egg cartons are labeled with one of these four logos which indicate how the chickens live. Birds live indoors with perches and shelters. Birds have at least as much space outdoors as indoors. Birds have access to rangeland or grassland. Birds live outdoors with mobile houses for shelter. In 2004 we began our “cage-free only” standard for eggs. Since then, we’ve been encouraged by commitments from other companies to go cage-free, though most are yet to be implemented. While moving hens from cages to giving them the ability to walk around on the barn floor is progress, we believe it is important to go beyond basic cage-free, and further improve the welfare of laying hens. In 2016 we completed standards for four unique egg productions systems. In 2017 we introduced these standards with our 365 Everyday Value® brand eggs. Farmers choose which type of production system to use based on climate and their farm’s unique environment. 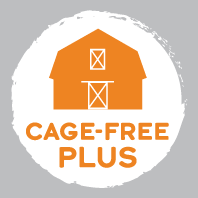 For our Cage-Free Plus label, we require that hens have space to move about the house freely, are provided with perches for roosting at night (their preferred sleeping method), have places to shelter from aggressive hens and bedding material on the floor to support natural hen behavior, such as dust bathing and foraging. They might live entirely in housing or have access to an outdoor area. Beak trimming (infrared method preferred) must preserve functional, natural use of their beaks. 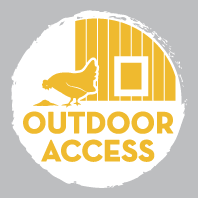 All Cage-Free Plus standards must be met for our Outdoor Access label. In addition, for this label we require an area outside the barn that is at least as big as the space inside, and there must be adequate openings in the barn for the hens to easily go outdoors. Water must be provided outdoors. Shade and cover has to accommodate at least 50% of the birds outdoors and be visible from the doors of the house so the hens see that they can get to sheltered areas while foraging. 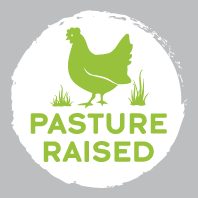 Our Pasture Raised label is for a fixed hen house with access to pasture all day. Shade and cover has to accommodate at least 75% of the birds outdoors and be visible from the doors of the house. We require vegetative cover of at least 50% at all times in the pasture so the hens can forage where they are most comfortable, among bushes, trees and tall grass. Beak trimming (infrared method preferred) must preserve functional, natural use of their beaks. 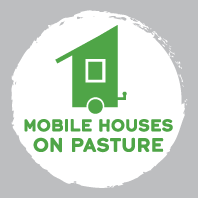 For our other pasture-raised label, Mobile Houses on Pasture, hens live outdoors with mobile housing for laying eggs, roosting at night and sheltering during storms. The house is moved as needed to ensure continuous access to at least 75% vegetative cover, and to allow the previous area’s vegetation to recover. Cover and shade must accommodate 100% of the birds. Beak trimming is prohibited. There are no artificial flavors, no artificial colors, no artificial preservatives and no artificial sweeteners in any of the food we sell. See why we're different.